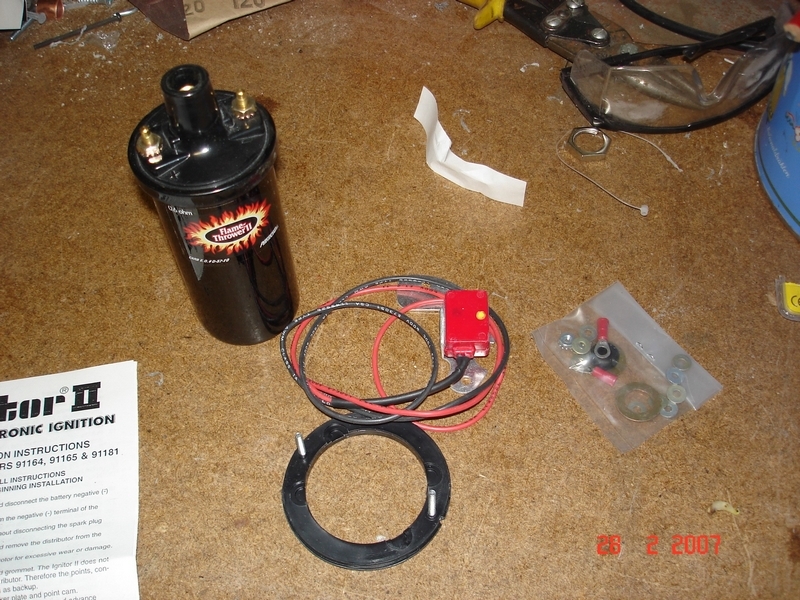 After discussions with Club friends and others decided to convert to Electronic ignition system. Surfed around some both on swap meets and on the Net. Finally decided on a Pertronix Ignitor II with Flamthtower II Coil. In the beginning everyone assured me that this was a piece of cake conversion…..However some had had some problems with the clearance with ignitor module and the magnet ring…. Ok I went ahead and started on Thursday evening. See story and pictures below. Click picture to get full size for clarity. Enjoy !